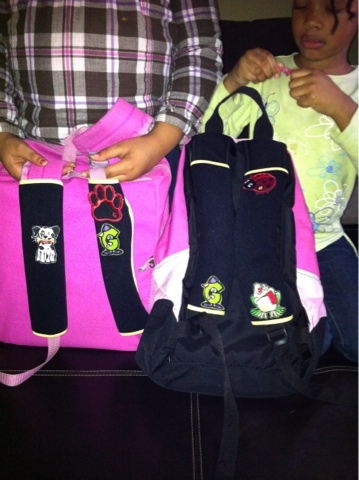 I was selected to review these cute patches that the kids can wear on their backpacks called Gutzy Gear. I knew my children would be excited so I immediately sat them down for this one. 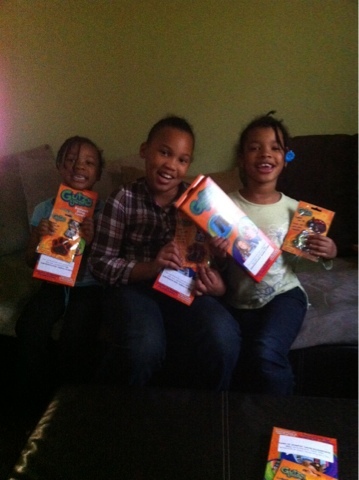 I told them that they can have one set for themselves and one to share with their closest friend at school. They were so excited to have these cute patches to switch and share with their friends. 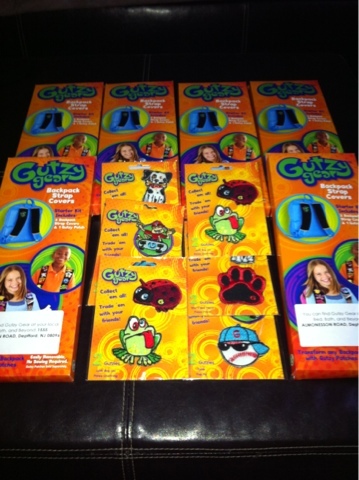 My middle and youngest child repeatedly told me what gutzy gear patches they wanted to add to their collection. I am so glad to have had the chance to review these with my children. Each set came with two straps and two gutzies. My youngest book bag is not here to display because she took hers and ran away from any further photo ops. Look how nice these are and again they can trade and add to their collection. My children are so happy and can’t wait to share with their best girl buds in school tomorrow. They love how they easily come on and off and they can position them how they want them to be. You can find gutzy gear displayed in your local Bed, Bath, and Beyond store. Gutzy Gear is also offering one of my readers a starter kit of their own with two gutzies. Just fill out the rafflecopter form below and a winner will be selected 4/14. As an added perk, anyone who purchases another package of Gutzies (retailed at 3.99-5.99) and sends either a copy of your receipt or a photo of your child showing off their additional product will receive an exclusive Gutzy Gear patch that is not available in stores. If interested please send receipt or photo including shipping info to Amy@bsmmedia.com with the subject line “Gutzy Gear BOGO promotion”. I received the product listed above free from Gutzy Gear and Mom Select in exchange for a review on my blog. All opinions expressed in the post are my own. Cute! I think they look great on backpacks! My son would put them on his backpack. She would put them on her bag, trapper, anywhere she thought they would look "cool". My son would have them on everything! LOL his book bag, toys in his room, bedroom door..(his brothers forehead…) anywhere he could decorate! My grandson would love them on his backpack and he would be sure everyone knew about them. My children would put them on their backpack and I'm sure my oldest would put them on her binder. I think my son will choose to put in on his school bag. My kids would love these! Not only would they share with each other, they would probably each share with their best friends at school. My daughters would have the on their backpacks, clothes, coats. They woul just have them everywhere. My son would display them on his backpack & most share them with his BFF at school!